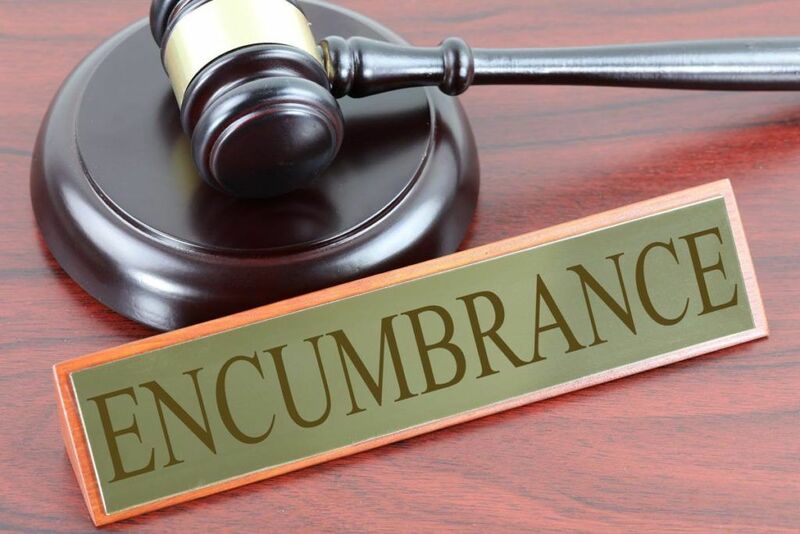 An encumbrance is a restriction on the use of funds. It is used in public accountingAccountingOur Accounting guides and resources are designed as self-study guides to learn accounting and finance at your own pace. Browse hundreds of articles on important topics such as the income statement, balance sheet, cash flow statement, depreciation methods, how to link the 3 statements, debits & credits, journal entries to make sure that there are sufficient funds to meet certain obligations. Governments use encumbrances to avoid overspending on their finances. An encumbrance certificate is also used in real estateReal EstateReal estate is real property that consists of land and improvements, which include buildings, fixtures, roads, structures, and utility systems. Property rights give a title of ownership to the land, improvements, and natural resources, such as minerals, plants, animals, water, etc. when there is a claim against a property. For example, it is used when there is a tax lien on the property, making it difficult to transfer it to the owner. The encumbrance restricts the policies that the property needs to abide by such as zoning laws or certain types of construction on the land. What is an Encumbrance Certificate (EC)? An encumbrance certificate (EC) is mostly used in the real estate industry and provides confirmation that a property is not subject to any monetary or legal obligation such as an unpaid loanLoanA loan is a sum of money that one or more individuals or companies borrow from banks or other financial institutions so as to financially manage planned or unplanned events. In doing so, the borrower incurs a debt, which he has to pay back with interest and within a given period of time. or other liabilities. The EC is an important document for the homeowner as it is proof of legal ownership of the property and also allows the owner to take out loans from banksTop Banks in the USAAccording to the US Federal Deposit Insurance Corporation, there were 6,799 FDIC-insured commercial banks in the USA as of February 2014. The country's central bank is the Federal Reserve Bank, which came into existence after the passage of the Federal Reserve Act in 1913 against the property. The encumbrance certificate is secured from the local registrar’s office and usually contains all the transactions relevant to a specific period of time. Moreover, the certificate only provides information on documents that are registered with the registrar’s office. Hence, documents such as short-term leaseLease ClassificationsLease classifications include operating leases and capital leases. A lease is a type of transaction undertaken by a company to have the right to use an asset. In a lease, the company will pay the other party an agreed upon sum of money, not unlike rent, in exchange for the ability to use the asset. deeds or testamentary documents will not be included in the transactions on the EC as the documents are not registered under the law. How to Obtain an Encumbrance Certificate? The encumbrance certificate can be obtained by the property owner at the local registrar’s office. The owner needs to provide relevant information about the property such as proof of address and title details, and settle the fee for securing the certificate. The officer will examine the index for the transactions pertaining to the property for the specific period. An encumbrance certificate listing all the details of the transactions for a certain period is then issued to the owner. If there are no transaction details associated with the property, a nil encumbrance certificate is provided. A lienLienA lien is a legal right to claim a security interest in a property provided by the owner of the property to the creditor. Lien is generally used as a is the most common type of encumbrance, and it can be placed on a property to receive a financial obligation from the homeowner, i.e., a mortgageMortgageA mortgage is a loan – provided by a mortgage lender or a bank – that enables an individual to purchase a home. While it’s possible to take out loans to cover the entire cost of a home, it’s more common to secure a loan for about 80% of the home’s value.. The lien remains on the property until the mortgage is fully paid. It can also include tax liens for unpaid taxes. Additionally, a contractor can have a lien when they have not received payment for repairs done to the property. If the lien is not satisfied, it can lead to the foreclosure of the house with the proceeds of the sale going towards the payment of the owner’s debts. It is an encumbrance placed on the land the property is on. It places a restriction on what cannot be done to the property and is also known as a restrictive covenant. The restriction can be anything from placing a satellite on the roof to where cars can be parked or even limiting the construction of anything on the land. Deed restrictions help create a standard for what the property can be used for and to protect the value of the property. The restrictions are usually placed on properties with historical significance. An easement gives the person or entity to use the property even though they don’t own it, i.e., a factory can place power grids on the premises. It can also be used for properties that are right next to each other. For example, an easement gives one property owner access to the property of the owner next to them. It is required when a common walkway leads to the beach, but it is cutting into one owner’s property. The easement is placed on the land and not on the property itself. An encroachment exists when a section of one property extends over to an adjacent property. It can include a fence that is built along the adjacent property or a tree branch that hangs over the neighboring property. Usually, the property owner may want the encroachment to be removed, as it often makes it hard to transfer the property title to the new owner. A license is a right to use another person’s property. The license often comes with rules that need to be followed, and failure to abide by such rules can result in the being revoked. For example, a license can be obtained to host an event on a property.